This mini PC has a universal performance, with Intel core i7 5500U CPU. Compatible with almost all popular operating systems, such as Windows, Linux. You can use it as personal computer at home, or use it as HTPC to built your own home theater center, and also you can use it in offices, training centers, factories, internet cafe and everywhere that require computers. It is great for you. 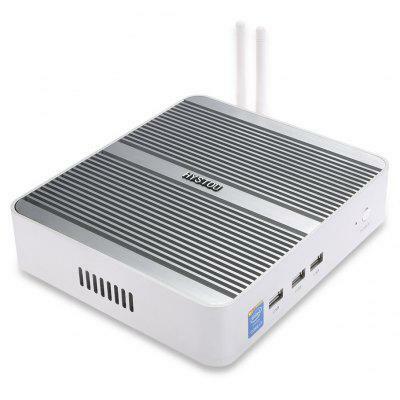 Want to be notified when the Hystou FMP03B i7 5550U Mini PC gets even cheaper? Make sure you snag the best price by entering your email below. We'll email you when the price drops, free! We're tracking the price of the Hystou FMP03B i7 5550U Mini PC every day so you know if that deal is really a steal! Check back for to check the best price for this product - and whether its current sale price is really the cheapest it's been! No Hystou FMP03B i7 5550U Mini PC coupons found!